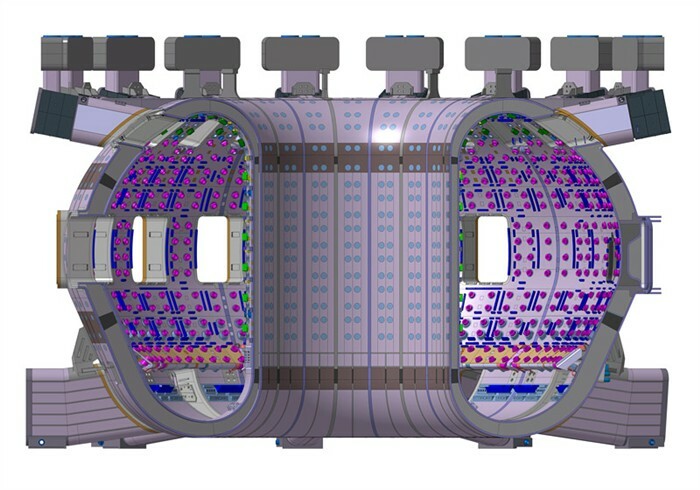 Fusion for Energy (F4E) has signed a contract for the supply of seven sectors of the ITER vacuum vessel with the European consortium of AMW (Ansaldo Nucleare S.p.A, Mangiarotti S.p.A and Walter Tosto S.p.A). The contract, expected to run for 6 years and worth almost 300 million EUR, is the biggest single work package of Europe’s contribution to ITER and is the largest component of the ITER device. The complexity of the vacuum vessel, its size, the amount of welding required and the degree of precision which is needed to build the component, brand this contract as one of the most important and technologically challenging of the ITER project. The in-wall shielding bolted inside the vessel’s walls will be delivered by India and ports to be welded on the D-shape sectors will be manufactured by Russia and Korea, while the two other sectors of the vacuum vessel will be supplied by Korea. What is the function of the vacuum vessel in the ITER device? 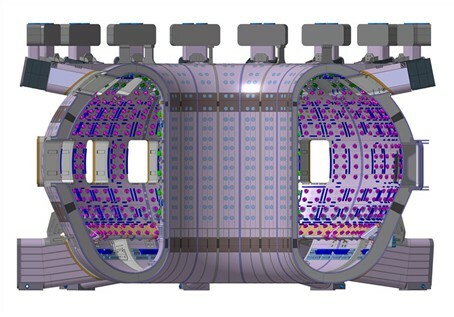 The ITER vacuum vessel is located inside the cryostat of the ITER device and its basic function is to operate as the chamber that hosts the fusion reaction. Within this torus-shaped vessel, plasma particles collide and release energy without touching any of its walls due to the process of magnetic confinement. The vacuum vessel is composed of nine sectors made of thick special grade stainless steel and each sector is 13 metres high, 6.5 metres wide and 6.3 metres deep. All of the sectors are similar and are built with double-walls containing the bolted- on shielded plates with a pressured inter-space which combine to attenuate the thermonuclear flux so as to avoid overheating of the superconducting coils. The weight of each sector is approximately 500 tonnes and the weight of the entire component, when welded together, will reach an impressive total of 5000 tons which is equivalent to the weight of the Eiffel Tower.